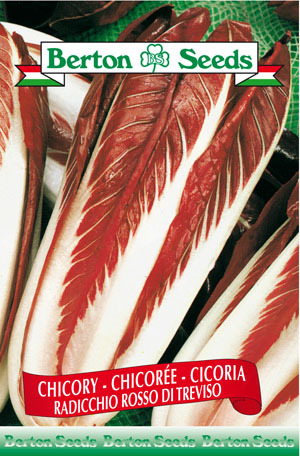 Bright red leaves form a cylindrical/conical head with large white ribs. Sowing instructions: Sow seeds 0.5 inches deep from April-June. Transplant seedlings at 3-4 leaf stage from June-July spacing them 10-14 inches apart and spacing rows 18-24 inches apart. Harvest from September-October. Cold tolerance: Poor (will only tolerate a mild frost).